Let’s all welcome Steve-O to the growing list of veg-celebs! 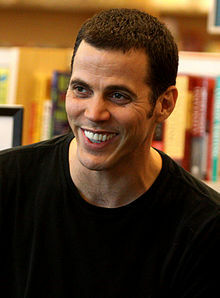 Steve-O is a British-American stunt performer, comedian, and TV personality. His entertainment career is mostly centered on his performance stunts on the American TV series, Jackass, and accompanying movies.